The Kolkata Group, chaired by Professor Amartya Sen, called for legislation in India to guarantee entitlements to food for all at their Eighth Workshop this week. More than fifty policy makers, opinion leaders, social scientists, scholars, activists and development experts took part in the workshop, held at the National Library in Kolkata, India. The Kolkata Group is an independent effort that meets once a year to examine inequality, deprivation, human development, and democracy. It is organised and supported by UNICEF India, Professor Sen’s Pratichi Trust, and the Global Equity Initiative at Harvard University. The Group’s Public Declaration was published in The Hindu today. The Eighth Kolkata Group Workshop, chaired by Professor Amartya Sen, was held in Kolkata on February 15-16, 2010. The theme this year was Eliminating Injustice. Over fifty participants from different walks of life – policy makers, opinion leaders, social scientists, scholars, activists and development experts – met to discuss dimensions of injustice relating to elementary education, food security, health, women’s work and non-discrimination. 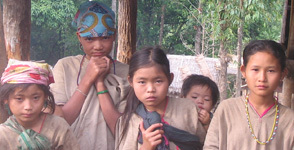 On the basis of extensive discussions on the exceptionally high levels of under-nutrition in India, particularly among women and children, the Kolkata Group argued for a firm recognition of the right to food in general and comprehensive legislation to guarantee the entitlements to food for all. Recent experience (including Supreme Court orders on the Right to Food as well as the National Rural Employment Guarantee Act) shows the value of putting economic and social rights in a legal framework. Legislation should recognise that food and nutritional security depends not just on food but on a set of related interventions that promote women’s health and nutrition, safe drinking water, proper sanitation and health care. The Kolkata Group argued for creating durable legal entitlements that guarantee the right to food in India. A Right to Food Act covering justiciable food entitlements should be non-discriminatory and universal. Entitlements guaranteed by the Act should include food grains from the Public Distribution System, school meals, nutrition services for children below the age of six years, social security provision, and allied programmes. Ensuring non-discriminatory access and universal entitlements requires special initiatives that focus on the discriminated, disadvantaged and vulnerable groups in society. Last but not least, design and implementation should include effective public participation, grievance redressal provisions and independent monitoring. Among those who attended the Kolkata Group Workshop, in addition to Amartya Sen, were Sabina Alkire, Sudhir Anand, Shabana Azmi, Amiya Bagchi, Jasodhara Bagchi, Alaka Basu, Anil Bordia, Sugata Bose, Asim Chakraborty, Lincoln Chen, Seema Chishti, Abhijit Chowdhury, Nandita Das, Asim Dasgupta, R. Govinda, Saibal Gupta, Syeda Hameed, Rounaq Jahan, Surinder Jodhka, Poonam Muttreja, Rohini Nilekani, Biraj Patnaik, N. Ram, V. K. Ramachandran, Mala Ramadorai, Kumar Rana, Abhijit Sen, A. K. Shiva Kumar, Shanta Sinha, Rehman Sobhan, Madhura Swaminathan, Sharmila Tagore, Sukhadeo Thorat and Sitaram Yechury.